play traditional dart games or play CPD card/poker games. Rather than just playing traditional darts, play this new twist on a traditional game. 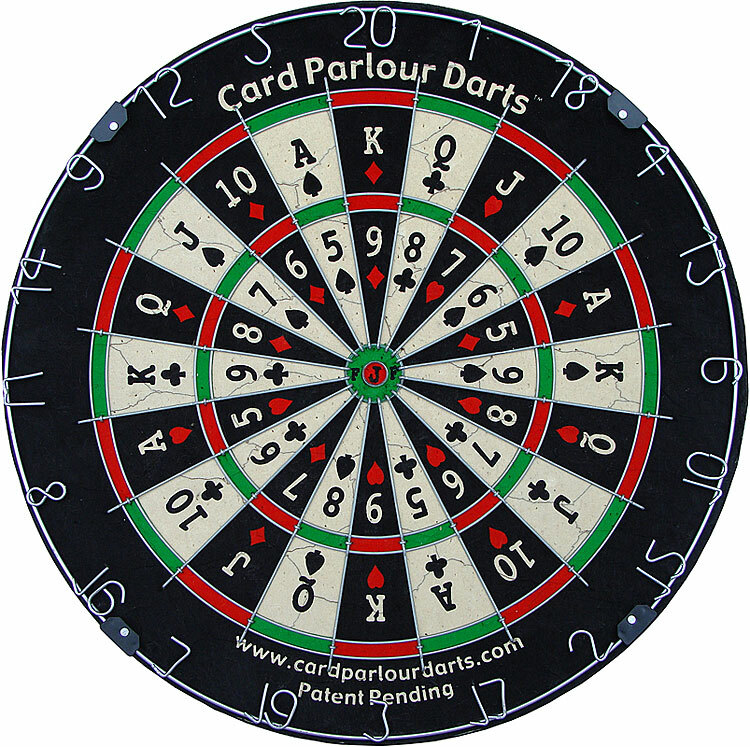 If you can throw a dart, you can learn and enjoy Card Parlour Darts many games.